Umm…. when did July happen?! This is CRAZINESS!! SLOW DOWN SUMMER!! In the midst of cleaning, creating, and er…. relaxing, I did get a chance to read chapter 4 in What’s Your Math Problem by Linda Gojak. I love this book more and more with each chapter! What are your thoughts so far? 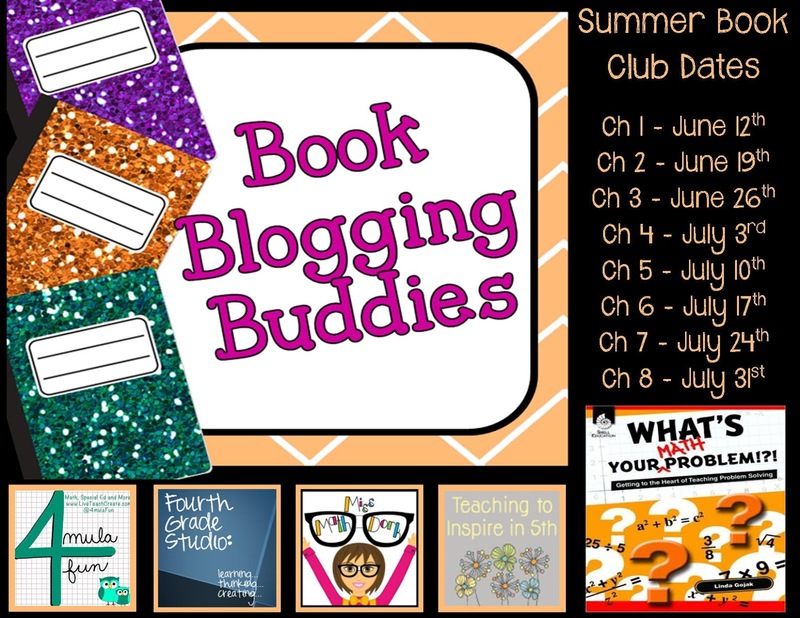 This week’s post can be found over at Jennifer Findley’s blog Teaching to Inspire 5th Make sure to stop by her blog and weigh in on your thoughts.